Young Katie Wilkinson has finally found her perfect match and great poet, Matt Harrison. Every thing was going so great between the two and Katie had even anticipated the fact that Matt might propose soon. Until one day, very unexpectedly, Matt breaks up with her. Katie Is very confused with the situation because there was no warning or reason behind the sudden breakup, especially because she had very big news concerning Matt. The day following the breakup Katie receives a package on her front porch from Matt. Inside is a diary. Katie decides it is all too much so she takes a bath and opens to the first page. On the first page it is an entry from Matt to Katie saying sorry for hurting her and letting the relationship go so far. Matt also explains what the diary is. 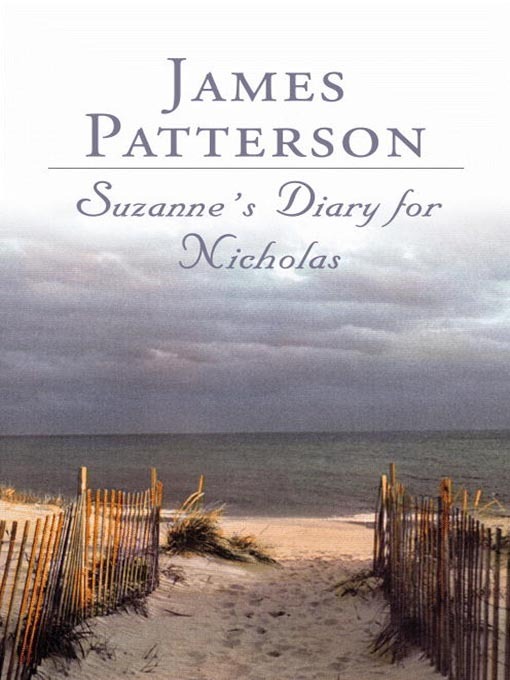 The diary was written by a woman named Suzanne to her two week old son, Nicholas. Suzanne decided to write the diary to her son to tell him all of the things that happened in her life leading up to the birth of her first child. Suzanne had multiple heart attacks but at the time was still very fortunate. Suzanne and her boyfriend at the time, Michael, broke up. For a new beginning, she moved into a small cottage by the ocean which needed a lot of work. She hired a young man to fix it, Matt Harrison. The two started to talk a lot more and became a couple. They fell in love with each other and Matt eventually proposed. Katie said yes and they got married shortly following. Katie got pregnant and had her son, Nicholas through a c-section because of her heart conditions. One day she went to the doctors and received shocking news that she was pregnant again! She became sick and went into a coma, loosing her baby. Katie at this point is very confused about where she stands with Matt, realizing Suzanne is married to Matt and Nicholas is his son. As Katie got to the end of the diary she noticed that Matt had finished it, explaining a very unfortunate fate of two loved ones. I really enjoyed reading this novel. I had never read a book by James Patterson. His writing style reminded me a lot of Nicholas Sparks. This romance novel will make your emotions race like no other. The ending was an extreme shock. I have never cried reading a novel until reading this one. The only thing I didn’t enjoy about this book was how it jumped back and forth in sections of the book from different characters perspective. It got a little confusing and I had to go back and read again. As reading this book I felt connected to the characters as if I knew them myself. I would recommend this book to anyone who likes Nicholas Sparks and romance novels. I loved all the detailed emotions and over all it was a great book.